As the discussion around key urbanisation challenges and prospects for the next twenty years gains momentum, ISOCARP is playing a leading role in galvanising the profession so it is geared up to meet the demands that are likely to be made of it. 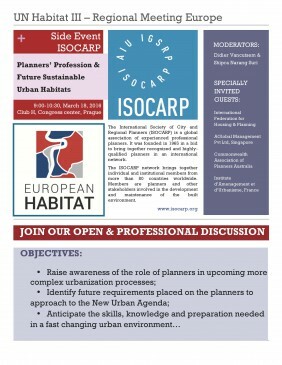 Having set up a working group in-house, a diverse collection of planning professionals from different streams and different countries, ISOCARP is now leading a debate at the upcoming Regional Meeting in Prague, an important milestone in the journey towards Habitat 3. The discussion will revolve around the role of the planning profession in both development and implementation of the New Urban Agenda, and will include views from professional associations – Commonwealth Association of Planners (CAP) and the International Federation of Housing and Planning (IFHP); the private sector – Paris Region Planning and Development Agency (IAU Ile-de-France), and Aglobal Finance; as well as representatives of research and academia. The session will be moderated jointly by Shipra Narang Suri and Didier Vancutsem of ISOCARP. Join the debate on March 18, 09.00-10.30 , Room Club H, Prague Congress Centre. Habitat III Europe Regional Meeting “European Habitat” will involve a wide range of participants, that will debate regional priorities for the New Urban Agenda, and policy recommendations in the form of a final regional participants’ declaration. The “European Habitat” is focusing on the region of the United Nations Economic Commission for Europe consisting of 56 Member States, while participation is open for all. 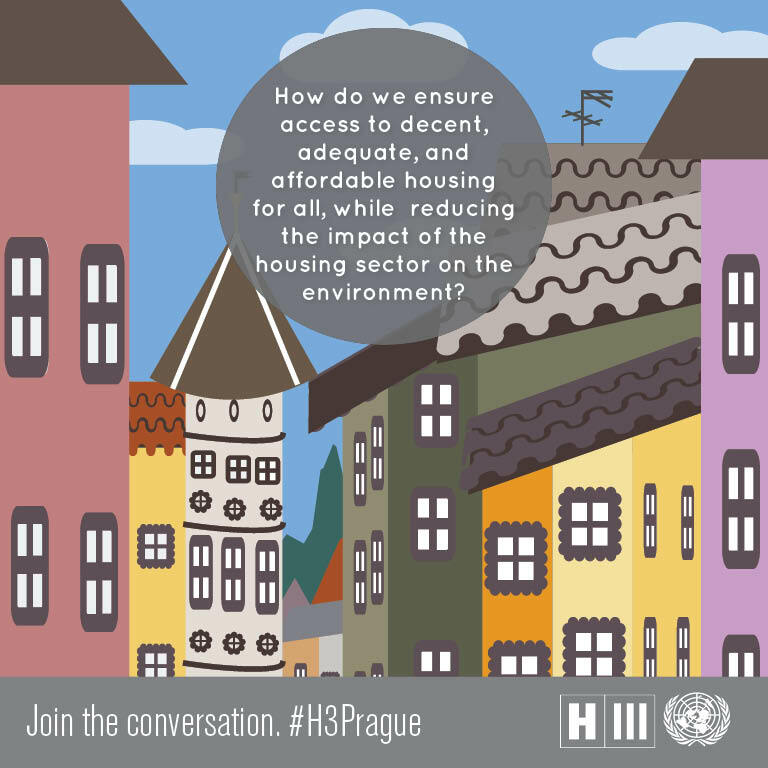 In this regard, “European Habitat” will gather recommendations reflecting the consensus reached at the regional level on sustainable housing and other topics from the spectrum of a proposed New Urban Agenda. Join us at this exciting opportunity to discuss the challenges of Sustainable Housing in Liveable Cities.